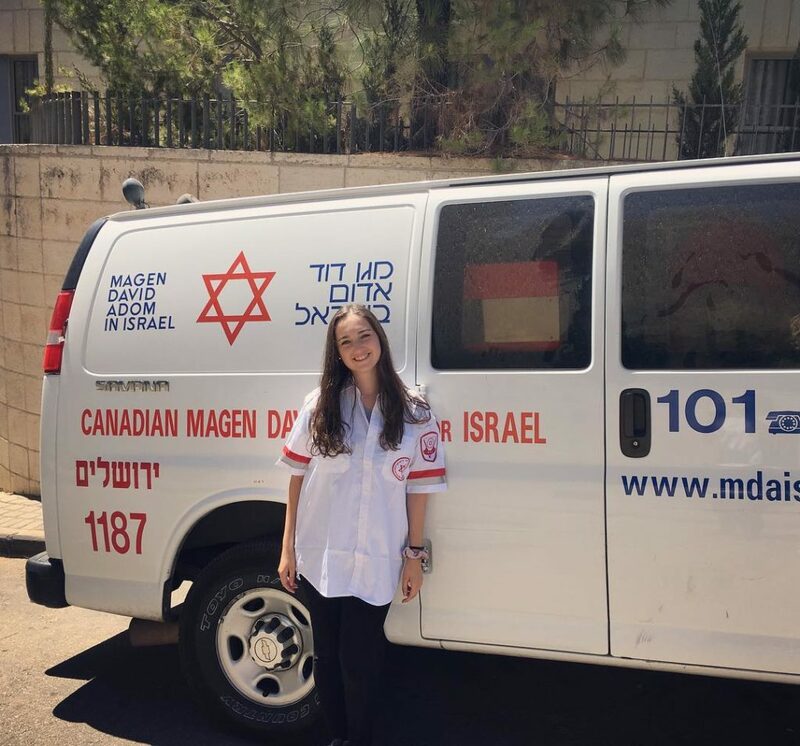 “My internship is volunteering with the ambulance service Magen David Adom. In preparation for my position, I attended 200 hours of intense emergency medical training with other MDA volunteers. As a nursing student in my last year of college and a trained MDA volunteer I thought I would be well prepared for what I was about to experience as an EMT in Israel. However, what I did not realize was that the lesser traumatic emergencies are what touched me the most. As a volunteer, I ride in the back of the ambulance with the patient. My job is to oversee all the patients’ needs during their transport; assessing their status, taking vitals, using critical thinking, and much more. Through volunteering, I am able to expand my medical knowledge and cultural horizons by working with other Israelis and having a look from the inside of day-to-day life in Israel. You would think the things that would stick with me the most would be the gory cases – a child who experienced head trauma dripping in blood, back-boarding a patient in a motorcycle accident, or a semi-conscious man in a hypoglycemic attack. Yes all these things I witnessed, but it’s the little things that have left a mark on me. Holding the hand of a frail old woman the entire ride to the hospital or watching a 13 year-old patient in his wheelchair being sung to by his entire class of students and rabbi were incredibly emotional moments. These experiences of human kindness and compassion are what has elevated me and given me a love of the people and my experience.